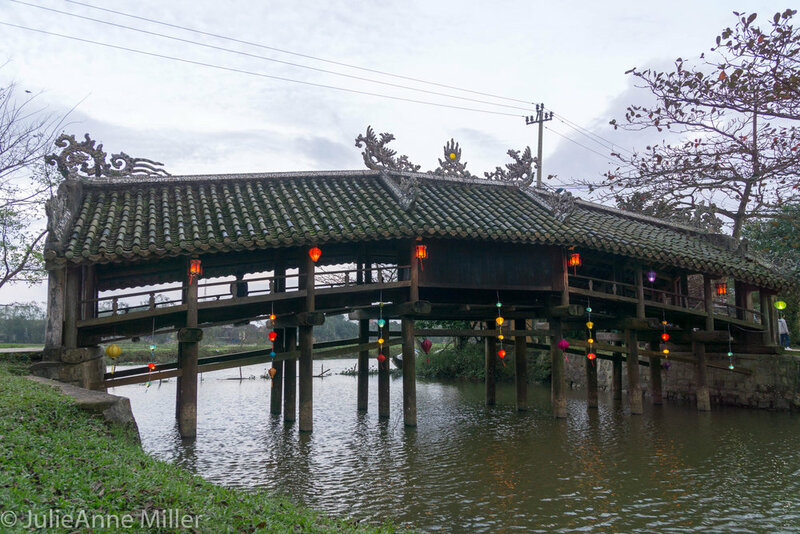 Hue is often described as the "ancient" capital of Vietnam. If the 1800's are "ancient" in your mind, then the adjective works. A better descriptor may be "short-lived". 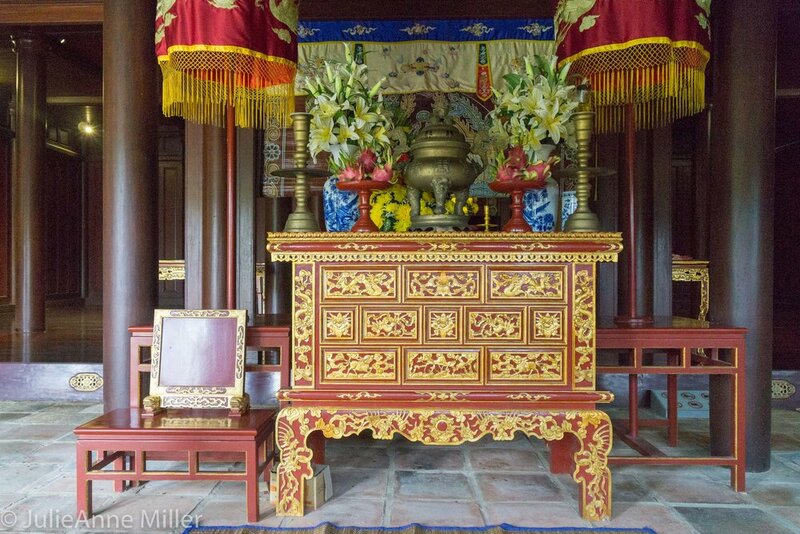 For most of Vietnam's history, Hue was just a sleepy village in the Champa empire under the rule of the Nguyen dynasty. 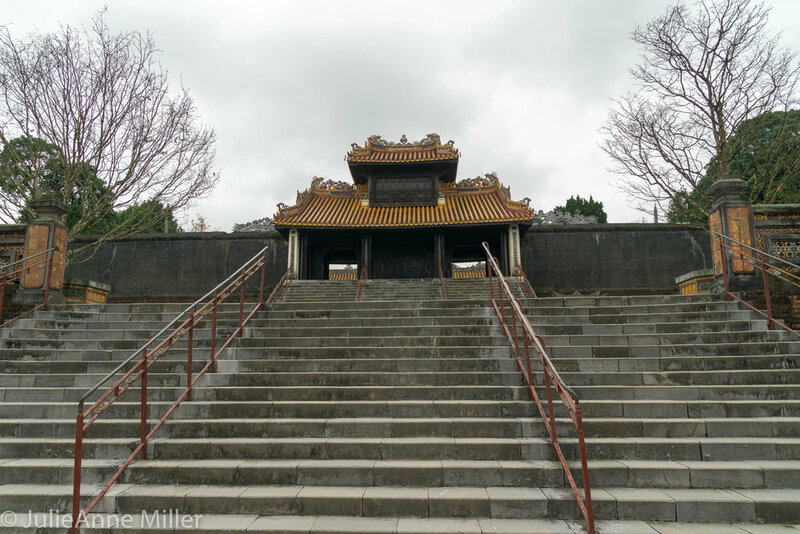 It rose to eminence when Emperor Gia Long unified the country for the first time in 1802 and appointed Hue as the capital city because of its central location. 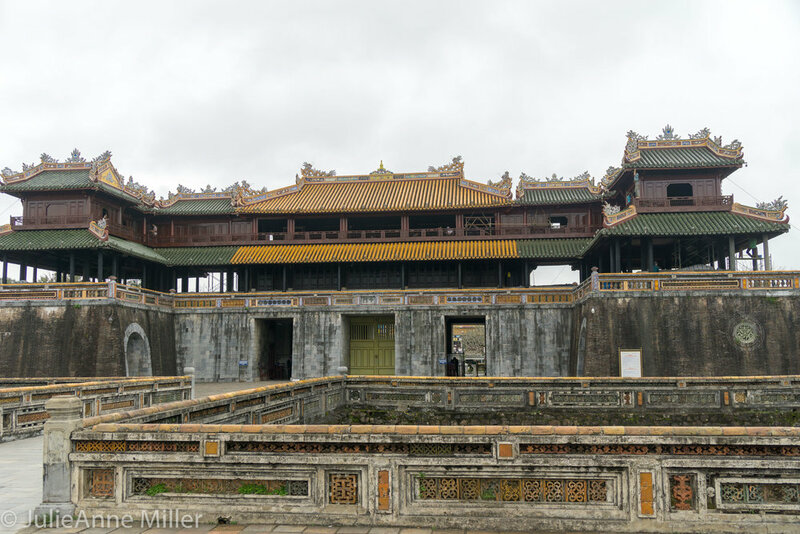 Hue remained the capital until post-World War II events once again split the country. 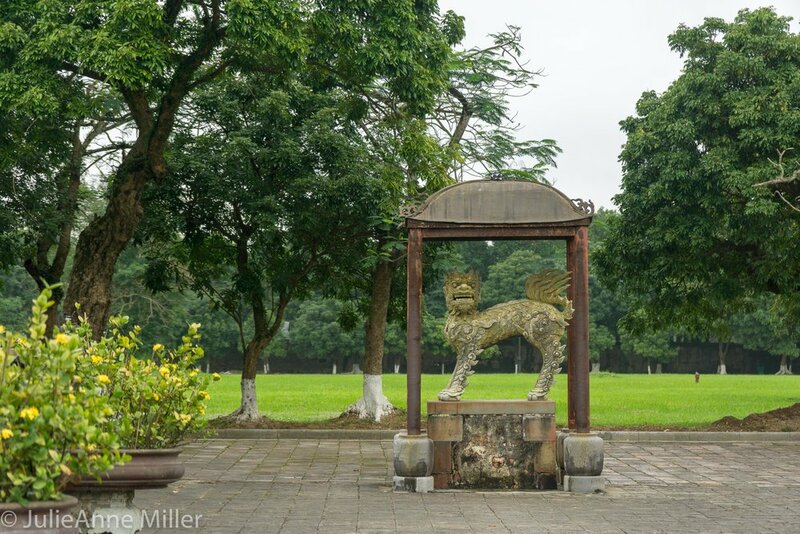 Today, Hue is a small but modern city straddling the Perfume River, with wide avenues and landscaped parks dotted with sculptures, topiaries and flower gardens. Sidewalks and bridges are walk-able, making it easy to explore. 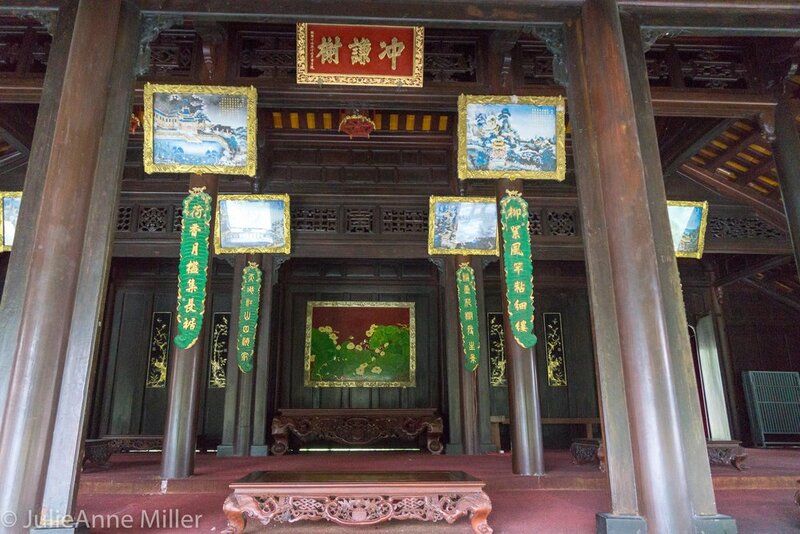 This area of the country is strongly Buddhist; there are many temples and excellent vegetarian restaurants. 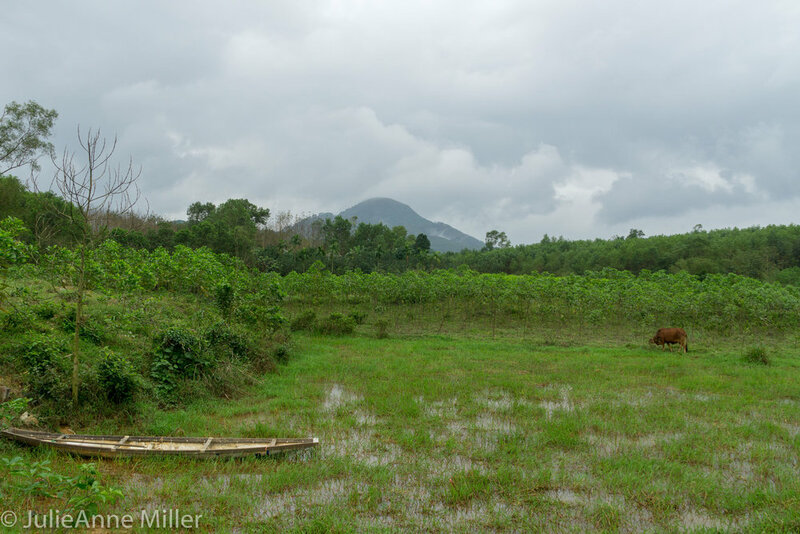 Since the traffic is less scary here than Hanoi, we rented a scooter and enjoyed simply cruising around the rural countryside on the outskirts of Hue. 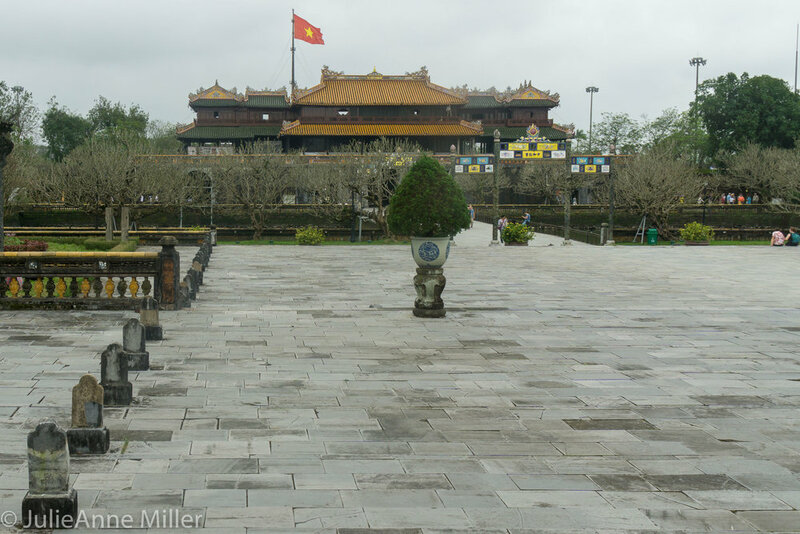 I had mixed emotions touring Hue's primary tourist attractions: the Citadel and the Imperial Tombs. 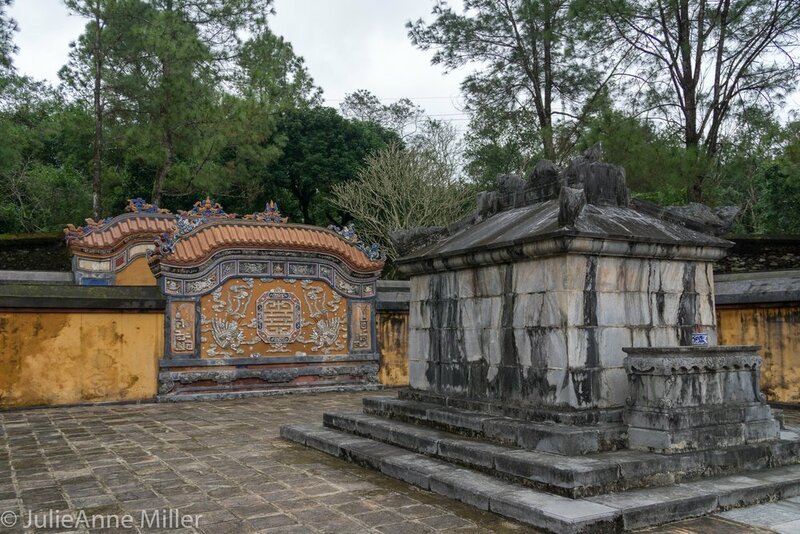 On the one hand, they are architectural marvels in a country with few architectural marvels; on the other hand, they represent a harsh period of Vietnamese history when aristocrats took advantage of peasant dollars and labor. 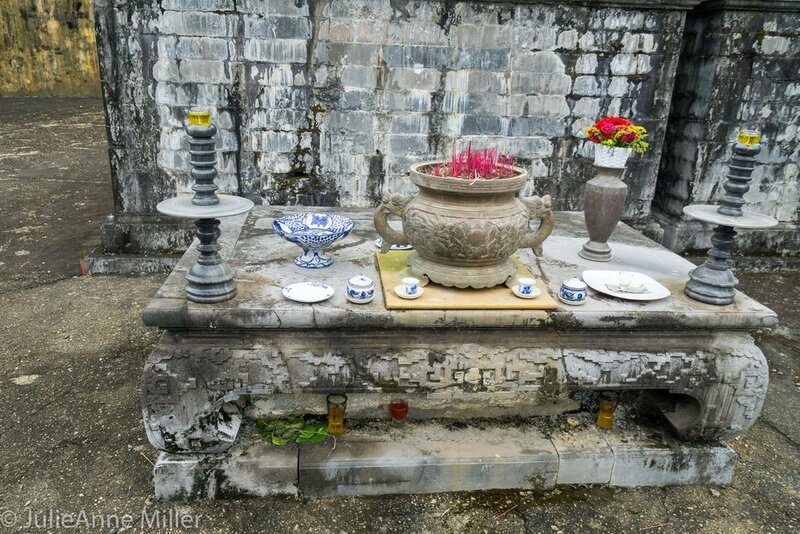 The Vietnamese people hated the emperors who lived lavish lives within the confines of the Citadel's Purple City and were then buried in extravagant tombs built with taxpayer money. The Vietnamese people revolted violently and frequently against these puppet emperors who sold their country to the French to protect their own skin. 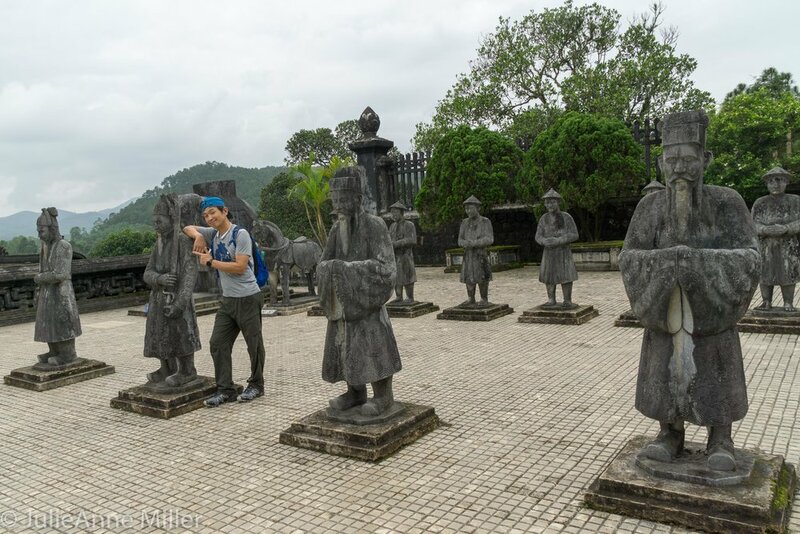 And now tourists flock to visit their monuments and honor their tombs. 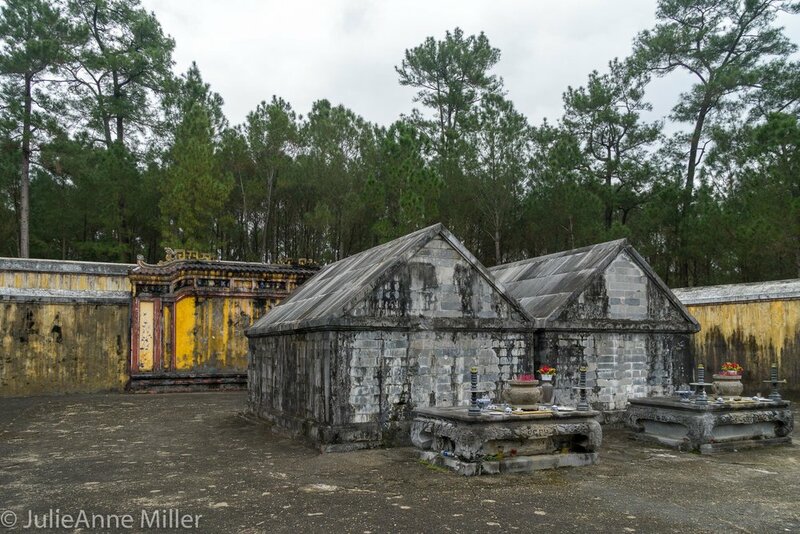 From unifying the country to eventually selling-out to the French, the political events in Hue nearly 200 years ago altered the trajectory of the country. 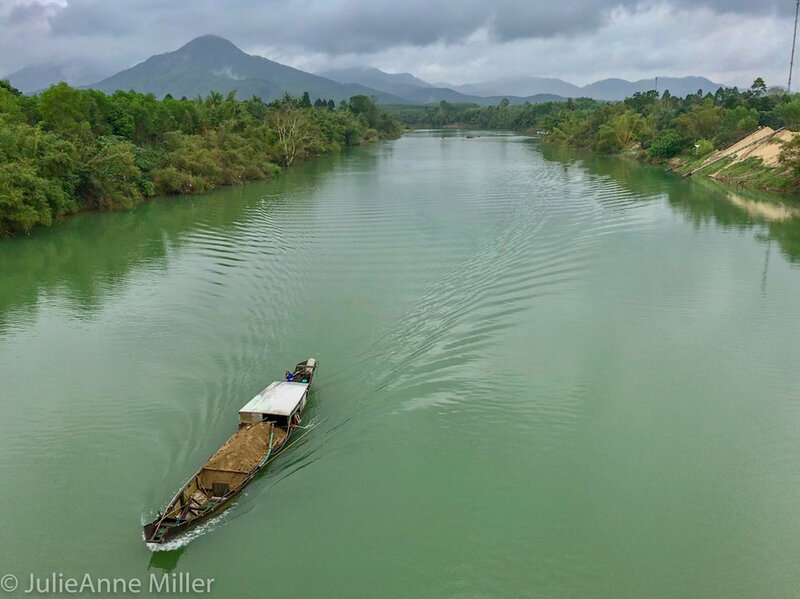 It’s a story worth reading if you plan to travel to Vietnam. 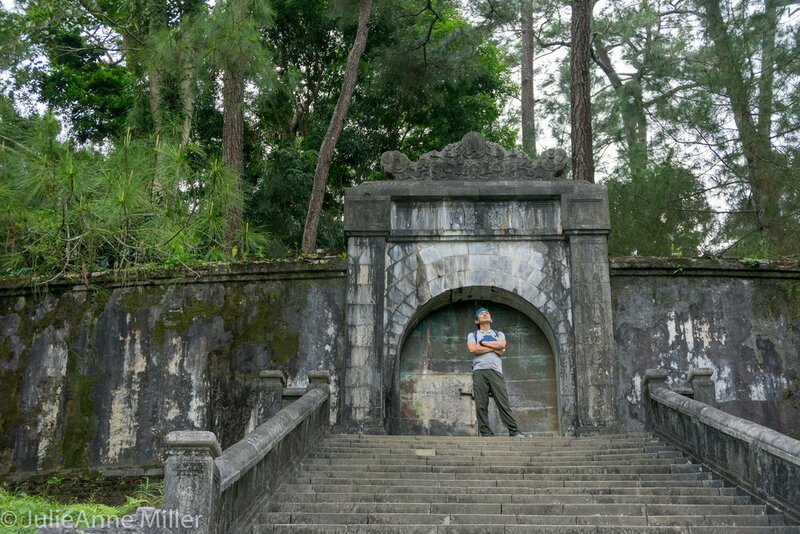 Download Travel Is Zen's Hue History: Travelers' Cliff Notes to understand who's who in the Imperial line-up and how they shaped Vietnam’s modern destiny.